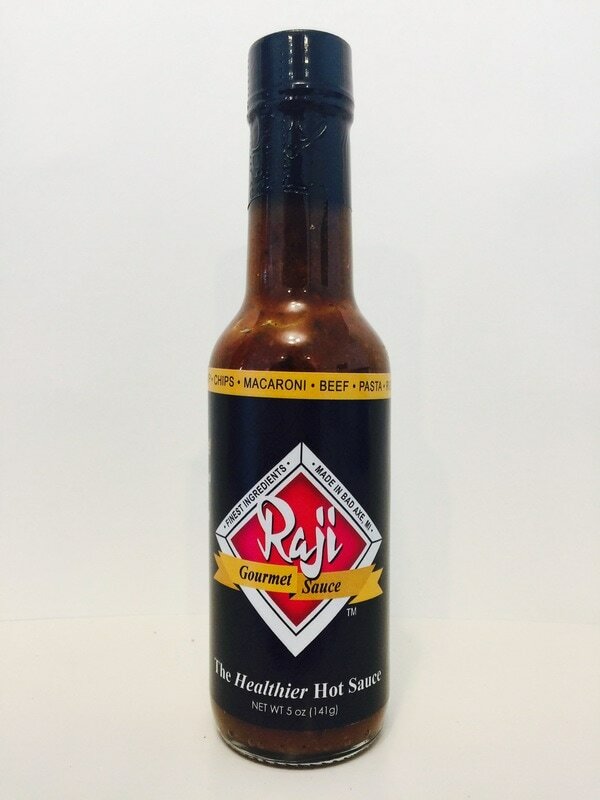 RAJI HOT SAUCE from RAJI GOURMET SAUCE.. A very thick and bold tasting sauce. A delicious sauce with a hint of Indian cuisine flavor. You don't need much of this sauce to enjoy its great flavor. tomato past, onion, dried red chillies, EVO, soy sauce, sesame oil, garlic, key lime juice, vinegar and a blend of Indian spice adds to it far eastern flavor. 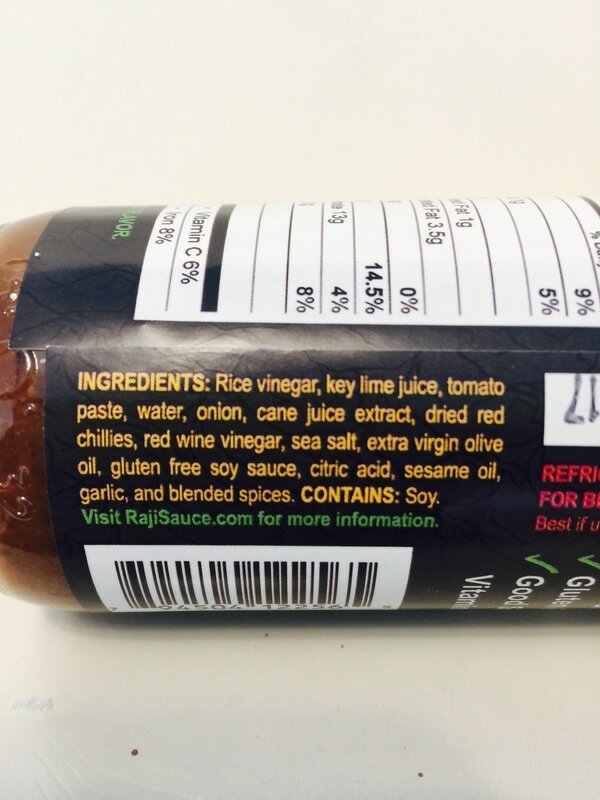 Raji says this is a vary healthy hot sauce too. This is great on it's own or added to chili, Mexican foods, rice, beans, ribs, chicken, eggs and more. It's unique flavor will entice you to try it on a many different dishes. I feel you will life it's uniqueness is a difference you will love.